Working larger requires a completely different approach than the smaller jewellery pieces that I’ve engraved, especially when it comes to the type of scrollwork involved. The rules and parameters of scrollwork are intricate and even formulaic, providing a great opportunity to challenge and further my technique. This year I have been steadily learning and practicing my skills with larger designs, and I plan to continue this focus throughout 2016. 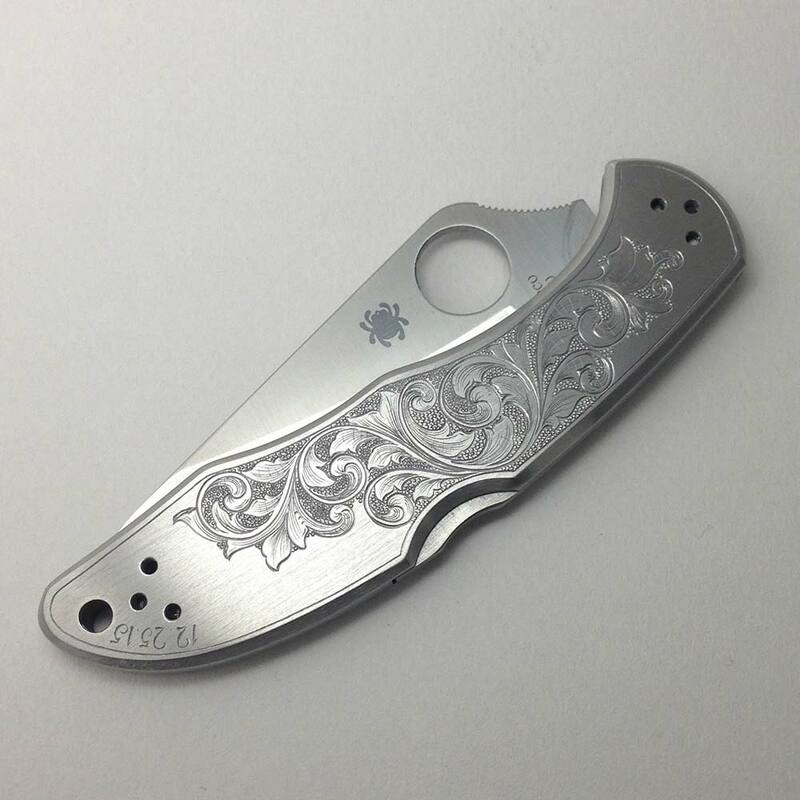 I’d love to continue engraving knives and will definitely explore hand engraving on cuff-style bracelets and other non-jewellery items as well. Stay tuned for images of my upcoming projects!